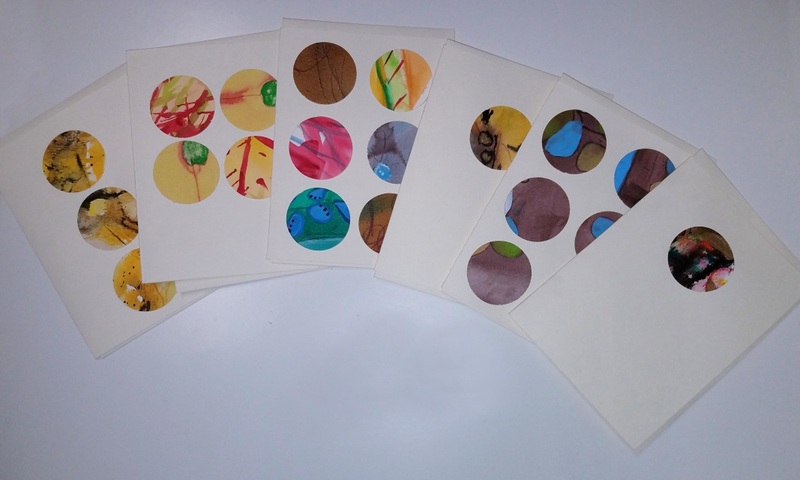 6 pack of blank cards with original art on the front. The art was created from paintings Jess Quinn made in college. Her art in college was abstract in nature and created with watercolor, inks and powered dyes. Every card is unique and comes with an envelope. 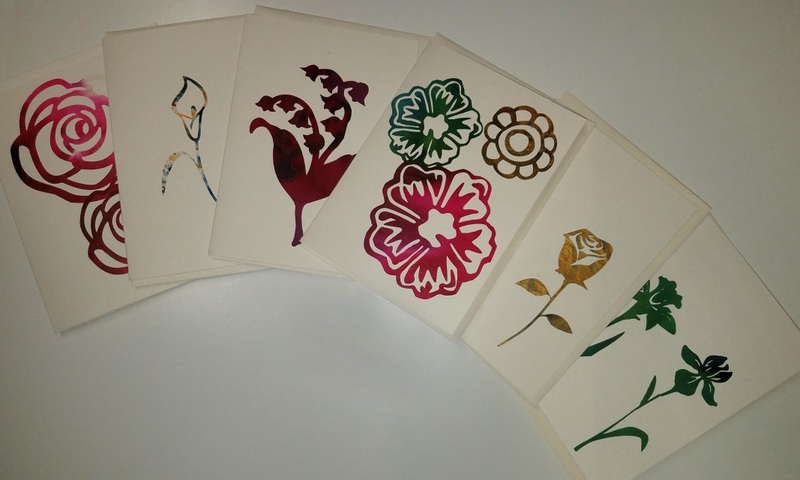 6 pack of blank cards with cut floral art on the front. The floral art images are cut from large 4 foot paintings Jess Quinn made in college. Her art in college was abstract in nature and created with watercolor, inks and powered dyes. Every card is unique and comes with an envelope.